Social Networking Rehab: Day 127: Breakfast of ChamPEAons! As my 28 days of Social Networking Rehab have become 127, it is clear that 12 steps is a much greater distance than it sounds like. In the old days, a guy would walk a mile for a Camel. Today, I'd walk a lot farther than that to find a decent Internet connection to check my Twitter and Facebook accounts! "Social Networks are the new Nicotine and Twitter is my favorite brand of smokes!" As proven by the popularity of PodCamps, BarCamps, TweetUps, Social Media Breakfasts and other "events," it seems that those of us who are truly addicted to Social Networking like to hang out together (mostly to compare digital cameras, Blackberries and mobile phones as we Twitter, Seesmic and Utterz "live" to everyone else who is NOT there). GOING GREEN IS NOT AN AL GORE EXCLUSIVE! Peas have become Twitter's pink ribbon of support for those facing the challenges of cancer, inspired by a fellow Twittizen, Susan Reynolds (@susanreynolds) and her own unexpected breast cancer diagnosis earlier this month. The frozen peas Susan used to comfort herself physically have become the symbolic peas we have added to our Twitter avatars (Pea-Vatars) to comfort Susan in other ways. 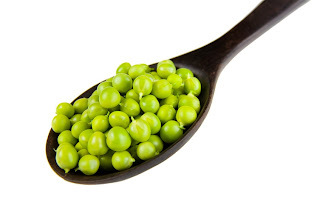 With peas on the brain (I guess I am the pea brain!) the INVITATIONS Social Networking Recovery Facility is pleased to be the sponsor of a new "Pea-S-A" Public Service Announcement, shot on location at the RASCAL HOUSE in Sunny Isles Beach, Florida. Thanks to fine Twittizens Jeff Pulver (@jeffpulver), Florian Seroussi (@florianseroussi), Steven Buehler (@revtriste) and Jonathan Gluck (@JonGluck) for their apPEArance in the segment. And please, after watching the Pea-S-A, visit www.frozenpeafund.com and see how you can contribute. Pretty peas? More videos from JWS at Myxer! This is a nice blog.. The site txtmate.com offers free sms in the Philippines. i am a new user to visit this site. the info is much good. the people in today are changing their food style. but the food are make some health problems. if the pea is the good food. if we can eat every day ane we get proteins from it. Addiction treatment and recovery resources for the addict and their families. Online press releases create that immediate spike in buzz among casual viewers, and ultimately attract them towards your website. lot its almost hard to argue with you (not that I really would want to…HaHa). You definitely put a brand new spin on a topic that's been discussed for many years. Great stuff, just great! understand a lot approximately this, like you wrote the ebook in it or something. of that, this is fantastic blog. A fantastic read. I'll certainly be back.